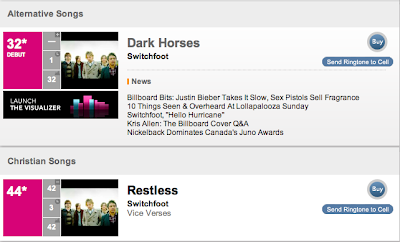 Both of Switchfoot's lead singles have hit their respective Billboard chats. 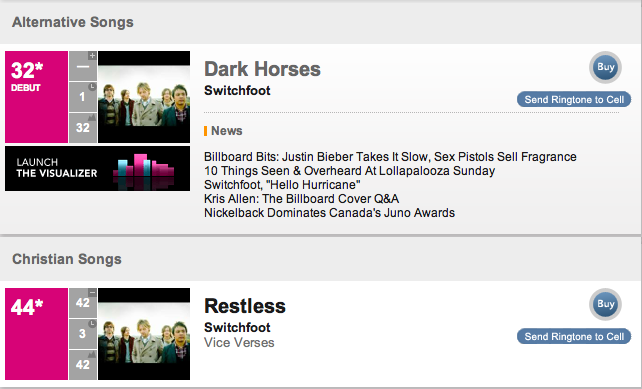 "Dark Horses" debuts on Alternative Songs at No. 32, while "Restless" is No. 44 on Christian Songs. Is Restless going to be made available as a single for purchase?